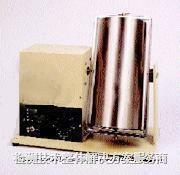 Textile dynamic water imbibition tester, used for assessment of the treated fabric rejected by water. Instrument by roller cans and electric turn frame composition. The output speed for 55rpm. Can automatically shut off timer, the longest testing time for 999 hours.